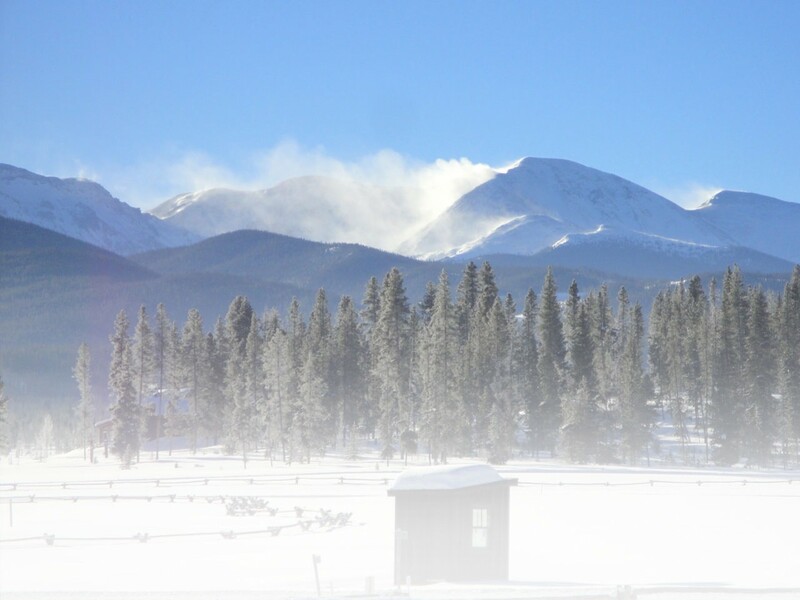 Colorado Mountain College (CMC), Leadville, promises a thrilling Saturday, January 30, 2016, hosting the Colorado Cup Snowshoe Championships. An exciting—and full—race day at the Timberline Campus includes six different events scattered over 210 minutes starting at 9 a.m. sharp. These events rank high on the winter season schedule since they determine winners of the State Snowshoe Championships. Assistant Professor of Mathematics, Darren Brungardt, a well-known advocate for youth snowshoeing along with race director duties for Frisco’s 2012 Dion Snowshoes USSSA National Championships, said, “Leadville’s rich history of endurance sports will be a great backdrop for the race, and CMC provides miles of trails for the perfect setting for a snowshoe race. Students and faculty groom the trails surrounding the campus and the Mineral Belt Trail,” an 11.5-mile excursion around Leadville. Deep snow will be groomed well before the race (just not over the holidays when these images were taken). One of four events comprising the Western Slam, along with Western States 100, Wasatch Front 100, and the Angeles Crest 100, LT ranks at the top of the majors. Incredibly the current course record now breaks below 16 hours by 18 minutes, accomplished by the dumbfounding Matthew Carpenter. Growing up in the south (born Asheville, NC, college University of Southern Mississippi) demonstrates that being born in altitude isn’t a requirement for racing well in the land of little air. Out of the gate comes the 800 meter snowshoe run. Then at 9:20, the quick 100 meter snowshoe dash. The featured longer distance 5000- and 10,000-meter snowshoers then trek off the line. Brungardt’s specialty in college happened in these two distances, though at the University of Northern Colorado he raced track with shoes. The 5 km completes one CMC loop while the 10 km gets two. An aid station is at the finish line. While that group is on the course the 400 meter snowshoers cover their race. At noon the exciting 1600 meter medley relay starts with a 200, 200, then 400, completing with a pounding 800. Finally, during the noon hour, a well-earned lunch and awards combo. Awards are for the top three male and female finishers in all sprint races. The boys and girls high school Top 5 will be scored in the 5 km. The race determines the Colorado high school 5 km champions along with boy and girl team championships (based on typical cross-country team scoring). For the 10 km, age group awards are for 20-29, 30-39, 40-49, 50-59, 60 and above. Find a bargain entry fee: $20 allows sprinters to race in one or all the sprint events, including the 5 km or 10 km. Plenty of room on the course for passing. CMC notches high in the 800 two-year colleges: No. 17 in the CNN/Money ranking. Also, the college offers five bachelor degrees, which will continue to increase. What a deal for a bachelor degree now ranked third most affordable in the country. This entry was posted in Features, Homepage Featured, Snowshoe Racing and tagged CNN/Money, Colorado Cup Snowshoe Championships, Colorado Mountain College, Darren Brungardt, Frisco, Ken Chlouber, Leadville, Love me Tender Snowshoe Race, Matt Carpenter, University of Northern Colorado, Western Slam by Phillip Gary Smith. Bookmark the permalink.